A consortium of researchers from top-tier cancer centers, as well as from Illumina and Grail, has published a study showing that their new liquid biopsy method of determining the sequence of molecules in DNA can detect small fragments of cancerous genetic material in blood samples from lung cancer patients with a high degree of accuracy. The study, Ultra-deep next-generation sequencing of plasma cell-free DNA in patients with advanced lung cancers: results from the Actionable Genome Consortium, has been published in the journal Annals of Oncology. Researchers from Memorial Sloan Kettering Cancer Center (MSK), MD Anderson Cancer Center, and Dana-Farber Cancer Institute collected blood samples from 127 patients with newly diagnosed advanced non-small cell lung cancer (NSCLC) that metastasized to other parts of the body or who had recurrent metastases. The 127 patients were divided into three groups: 91 in whom genetic mutations driving the cancer or making it resistant to treatment had been identified from a tissue biopsy, of whom 64 were tested by next-generation sequencing (NGS) and 27 by other methods; 19 patients for whom the tissue biopsy had not detected any such mutations; and 17 patients for whom there was no tissue biopsy available or it was insufficient for analysis. The researchers used Illumina’s “ultra-deep” next-generation sequencing, which involved reading cell-free DNA (cfDNA) an average of 50,000 times to ensure the greatest accuracy in detecting variants from any of 37 genes commonly involved in lung cancer. Patients’ white blood cells were also sequenced and used to filter out non-cancer signals from the bone marrow, a process called clonal hematopoiesis filtering. Information from the ultra-deep NGS was fed into a computer algorithm developed by Grail that used machine learning to detect the faint signals of tumor cfDNA from the cfDNA of non-cancerous cells in blood. Grail is a liquid biopsy developer that has identified lung cancer as well as breast cancer as areas of interest when it was launched in January 2016 with $100 million committed by investors that included sequencing giant Illumina, Bill Gates and Jeff Bezos. The company has since raised more than $1.5 billion in financing. “Our results suggest that liquid biopsy can play a complementary role to tissue biopsy in the treatment of lung cancers,” Bob T. Li, MD, MPH, a medical oncologist at MSK who led the research on behalf of the Actionable Genome Consortium, said in a statement. Li was a co-corresponding author of the study along with Gordon Mills, MD, PhD, formerly of MD Anderson Cancer Center and now director of precision oncology at Knight Cancer Center, Oregon Health and Science University. The consortium found that of the 91 patients in whom the tissue biopsy had found cancer-driving mutations, analysis of the liquid biopsy detected 68, giving a true positive rate of 75%. Li said the true positive rate of 75% compared favorably with other digital methods for detecting lung cancer driver mutations. “Among the 19 patients without mutations detected in the tissue biopsy, the liquid biopsy also did not detect any mutations, meaning there were no false positives and giving a true negative rate of 100%,” Li added. Within the third group of 17 patients for whom no tissue biopsy was available, the cfDNA analysis detected cancer-driving mutations in four patients—one of whom had their mutations subsequently confirmed by a tissue biopsy. Of the remaining 13 patients, subsequent tissue biopsies confirmed mutations in two of them, while the other 11 did not have subsequent biopsies, the consortium reported. That caution was included in the study itself, which noted that cfDNA analysis “is not a replacement for histologic confirmation and immunohistochemistry from a diagnostic biopsy. 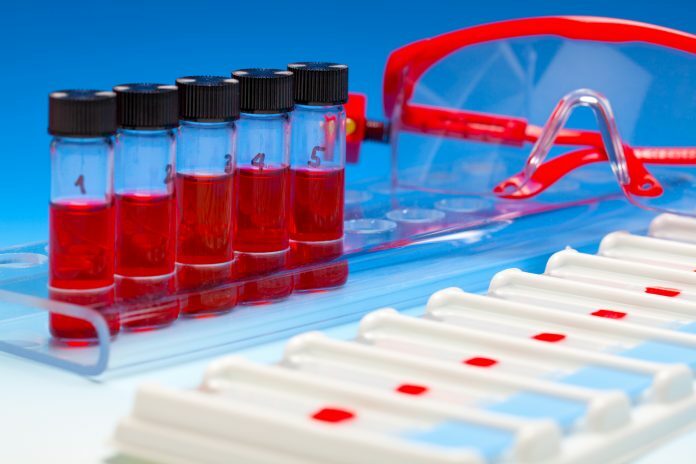 “Owing to its modest sensitivity, failure to detect a known oncogenic driver or resistance mechanism in plasma should then prompt tissue-based molecular profiling,” the Consortium added. Among mutations detected by tissue and liquid biopsies were changes in EGFR, KRAS, ALK, ROS1, BRAF, HER2, RET and MET genes. The consortium noted that there are either existing, targeted treatments, or new drugs or drug combinations in development, for those mutations. In 23 cases where oncogenic drivers were detected in tumor tissue biopsy but not detected in plasma, the median time difference between tissue biopsy and plasma collection was 207 days. The consortium also cited previous MSK research showing that liquid biopsy can be taken and analyzed in approximately nine days, compared to 20 days for tissue biopsies. The Actionable Genome Consortium was founded in 2014 by Illumina, MSK, and three other top-tier cancer centers—Dana-Farber Cancer Institute, Fred Hutchinson Cancer Research Center, and MD Anderson—with the goal of recommending openly published standards for the widespread use of next-generation sequencing to guide decision-making in clinical oncology.